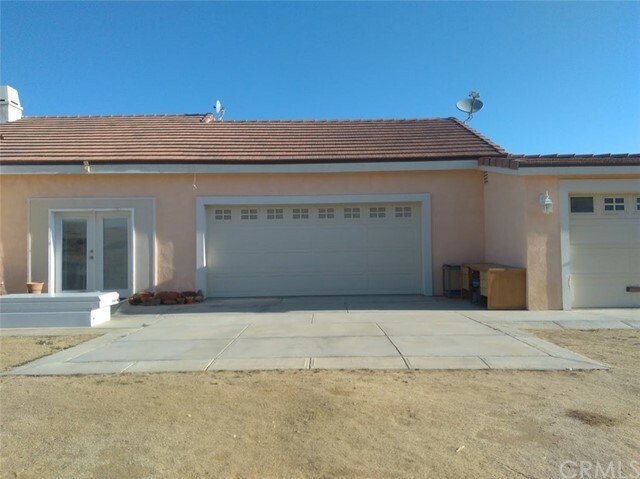 All Anza homes currently listed for sale in Anza as of 04/18/2019 are shown below. You can change the search criteria at any time by pressing the 'Change Search' button below. "A Hidden Peaceful, Spiritual Sanctuary 45 minutes from Palm Desert! This high-end custom built 4150 sqft Luxury Mediterranean home takes advantage of the panoramic views at 4300 ft elevation, and features 4 bedrooms, 4 baths, a Library in the tower accessed by a spiral staircase, 10-foot ceilings, arched wrought iron doors, Italian travertine flooring, Italian granite countertop in bathrooms, triptych painted murals, 3 fireplaces, mahogany carved doors, and tons of privacy. The gourmet kitchen i"
"This charming historic 88.46 acre horse ranch currently belongs to Gene Autry family, has 3 homes, barn, hay barn, several very large paddocks, grain silos, bunk house, equipment building and room to grow your own feed. 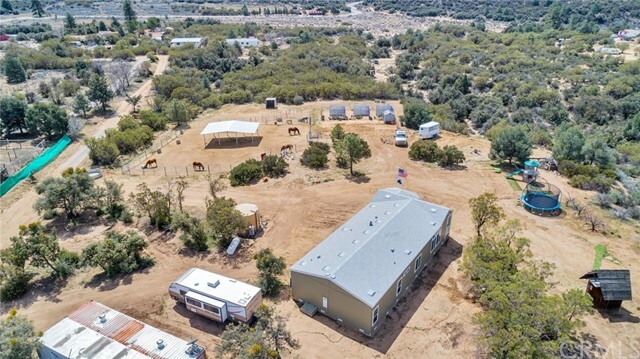 Previously owned by the Kellogg family as a thoroughbred horse farm, the entire property is fully fenced and cross fenced, all usable and has easy access (43.43 acre parcell has all the improvements and frontage on Bahrman Rd. while the additional 45.03 acres allows for more pas"
"Huge $220,000 price reduction for quick sale. Awesome 120 acres of ALL USABLE FENCED PROPERTY and currently has subdividable zoning if desired. See below in the private agent remarks section for a website link to a previously pursued tentative tract map and conditions for approval for 22 single family 5 acre lots in 2005 with the county of Riverside. Subdivide and leave the house on one parcel and develop the rest or just keep it and potentially increase your equity dramatically! 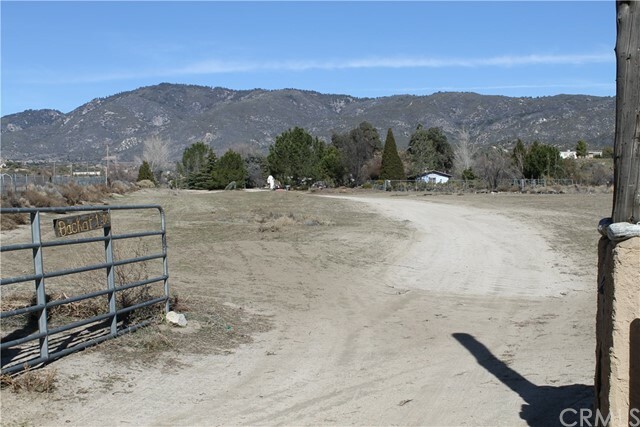 Property has a "
"Check out this unique property and investment opportunity in beautiful Anza. 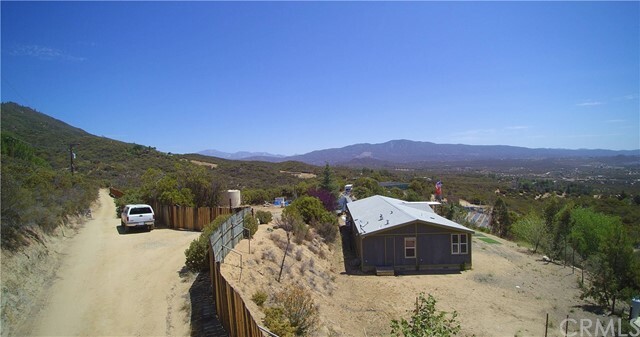 Start with a cozy 882 sqft block-constructed home set on 7.8 acres fully fenced with 4 barbwire. NOTE: OWNER MAY CARRY. Also includes a boutique nursery that caters to Cold hardy Zone 5-8 Conifers, Natives and various ornamentals. Water is everything and property includes an operating well that delivers up to 75 gpm. The nursery is turn key and ready to go or start your own unique agg project. Flat, plen"
"***Back on market***buyers financing fell through-escrow officially cancelled. 2 Homes with almost 11 acres. Aerial map attached in supplements. 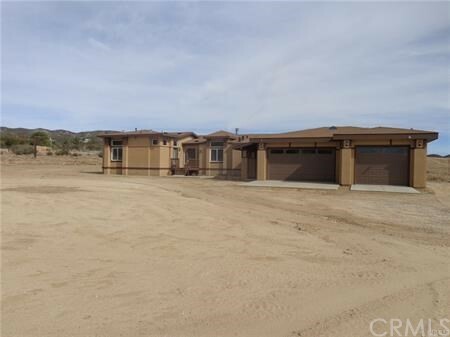 3 parcels with two addresses 39575 Anzanita & 59464 Rocky Ravine. All 3 parcels are adjacent to each other. 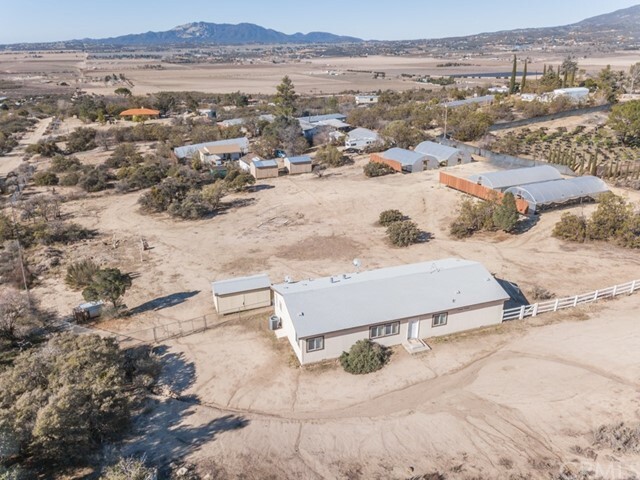 Top parcel has an awesome fully custom stick built home with 1864 sq' on 3.59 acres & the middle parcel has a manufactured home with 2113 sq' on 3.59 acres & the bottom parcel is vacant land with 3.59 acres for a total of almost 11 "
"Absolutely Stunning 8.68 Acres lot in the heart of beautiful Anza. 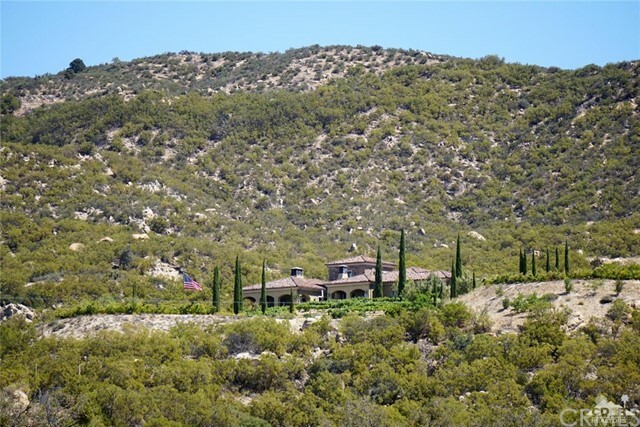 Enjoy panoramic views of mountains, and valley with lots of privacy. 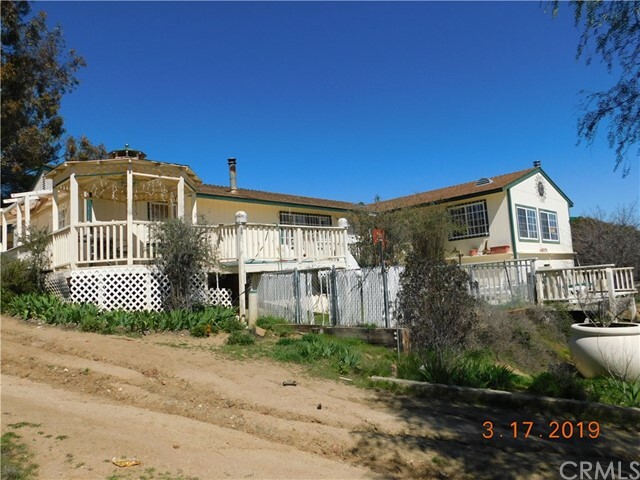 Property is approximately 8 miles from CA-371. Move in ready stick built home of usable rural residential zoned land with high-end GREENHOUSE improvements including GREENHOUSES with Lots of Agriculture growth opportunities with water running to them all. Property is serviced by its own well water with a storage tank for irrigation and booster pump set up. Perfec"
"This Spectacular one of a kind property on 10.04 acres backs up to the National Forest. The irrigated landscape is breathtakingly beautiful with over 300 mature pines, many different varieties of deciduous trees including elm, sycamore, oaks and others create a park like setting. Native manzanitas and redshank are also on the property, along with about 30 fruit trees. 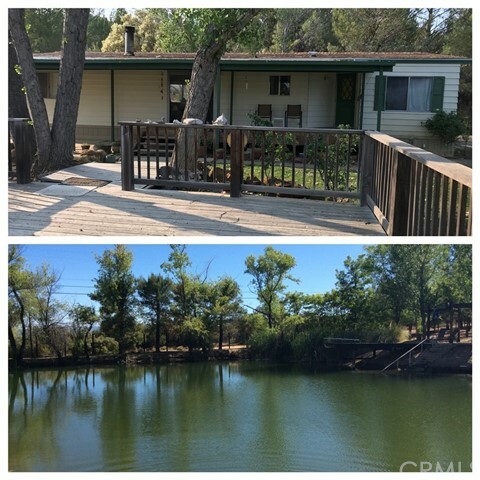 This all leads up to a magnificent spring fed pond which seller advises is over a half acre in size and 24 feet deep stocked with"
"Absolutely Stunning 21.48 Acres of useable land in the heart of beautiful Anza. Peaceful country living taking in the panoramic views of mountains, and valley with lots of privacy. Equestrian enthusiast! There is lots of room to grow! The entire property is fully fenced and cross fenced, all usable and has easy access. Home features Two Story Offering 3 bedrooms & 2 baths. Large kitchen w/ lots of Maple wood cabinets and counters space along with Guest quarters with a private bath and private en"
"CUSTOM Country Living with room to grow!!! This three level stick built home. situated on a corner property features 4 bedrooms, 3 baths, 2264 sq. ft of living space on 5 usable acres . A large first level kitchen with a good size walk in pantry and dining room. 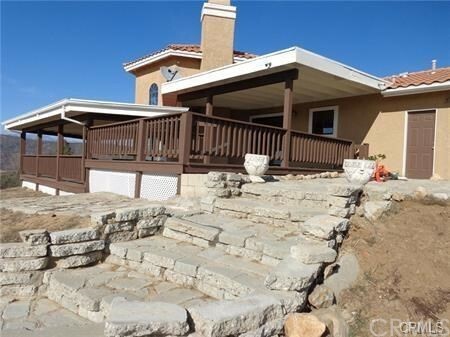 This home also includes a wood front porch, first floor concrete patio and a third story wood deck off the Master Bedroom over looking Anza Valley! 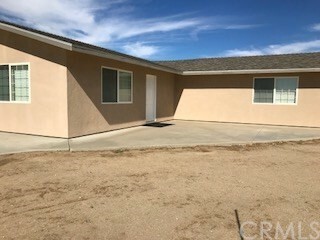 This home has a new central air conditioning unit and living room ceiling fans for those "
"Super unique & incredible Anza ranch property! This is a must see and offers extremely private location yet very close to paved road!! 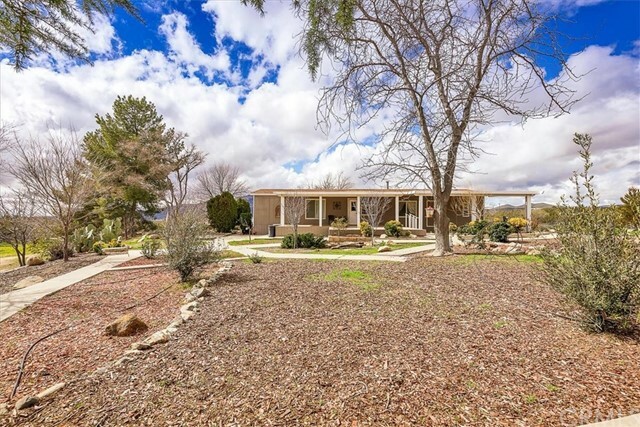 This 19.74 acre ranch property has one of the most amazing views Anza has to offer with expansive view of mountains and Coyote Canyon as it sits on a hilltop over looking the valley below. You can enjoy these views the best from the kitchen, family room and rear deck. The home is a 2640 square foot Silvercrest home with 3 bedrooms and 2 bathrooms separate living "
"LOCATION, LOCATION, LOCATION! This tastefully done home is nestled on it's own private hilltop and was perfectly placed in order to be able take in the beautiful 360 degree views that surround it. The home has 3 bedrooms and 2 full bathrooms. The countertops have been upgraded throughout the home to quartz. The windows were also upgraded to double pane windows. There are gorgeous lined silk curtains in the master, living room, and dining room. 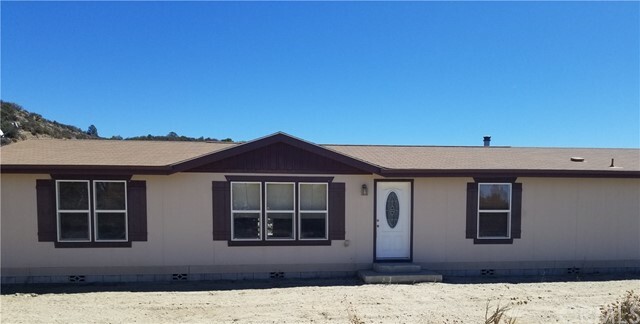 The home has all new appliances including a new refr"
"This Manufactured Home on a Permanent Foundation features a Bright Spacious Kitchen with a large Stainless steel Farmhouse sink with Pull out Faucet, 2017 Appliances, Granite Counter Top and designer Subway tile back splash. There is a Modern open concept to the Dining and Family Room with lots of cabinet storage and low maintenance Hardwood/laminate Flooring. The Large Master Bedroom has a beautiful En Suite with Granite Counter Top, Subway Tile Backsplash, Rainfall Shower Head, Tiled floor, Hi"
"Move in ready manufactured home on 2.5 acres of usable rural residential zoned land with high end GREENHOUSE improvements including 4 LARGE GREENHOUSES with electrical, fans, and water running to them all. Property is serviced by a private water well with storage tank for irrigation and booster pump set up. Perfect for anyone looking to have a home and grow their own crops. The lot is all fenced on the back side and the land is very usable. 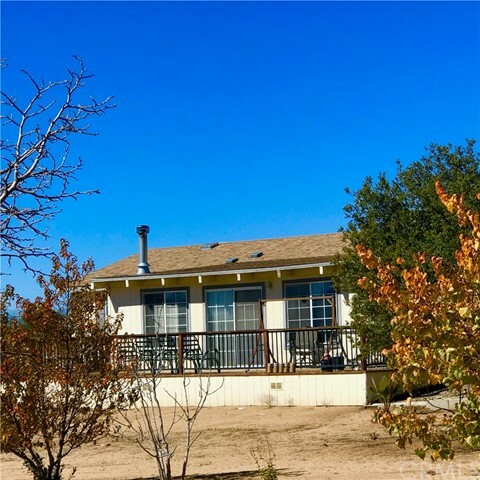 The home is 3 bedrooms and 2 bathrooms with 1560 square"
"Beautiful stick built 1993 home on 2.5 acres tucked away for privacy. The home has 3 bedrooms and 2 bathrooms. You can enjoy entertaining in the additional room that is currently being used to play pool. The back porch is covered so that you can sit and look at your trees and small Koi pond. There are several different fruit trees and garden areas. There is an extra area over the garage that can be used as an apartment or kennel. There is an enclosure between the house and garage that can be use"
"WOW ! What a View. This Custom stick built Home with Lots to Love. Showing as a 3 bedroom 2 bath / Office / Bar / Family room with huge Fireplace. Spacious living room with air tight wood stove With an 180 deg. 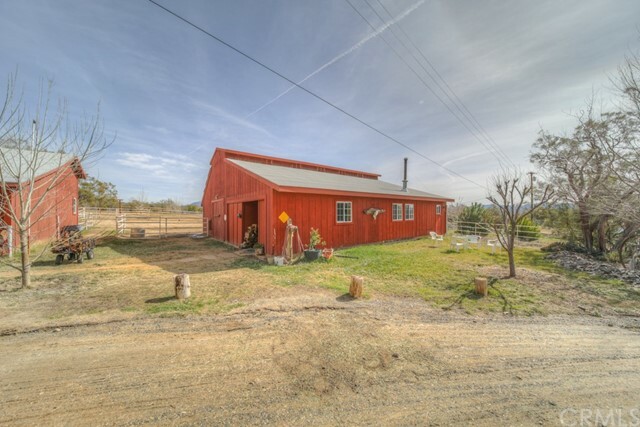 view of the entire Terwilliger Valley and stunning views of Santa Rosa and Thomas mountains. Bar and office has closets and could make a 4 bedroom home easily. You Guys are Gonna Love this 24 x 32 ft oversize garage with two extra doors with screens and 4 opening windows. Far enough from "
"The Fortress 19.51 acre irrigated horse ranch in an isolated and extremely private area of Anza called Coyote Canyon. 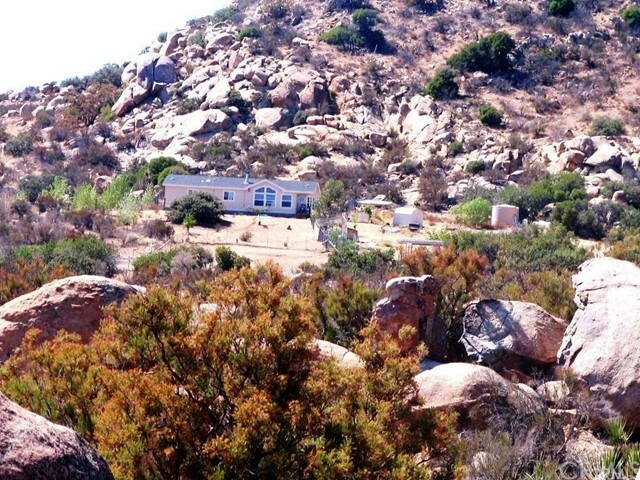 The ranch is called The Fortress because the home and property are privatized by sitting just below 3 sided cliff walls of boulders and native brush. 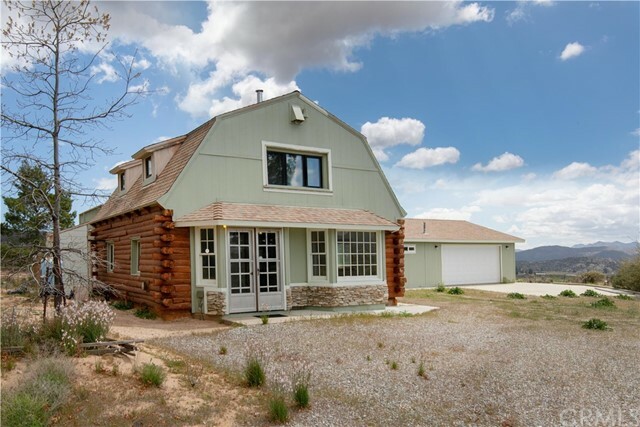 From the home you have outstanding views of mountains and valley as well as a complete view of your ranch. The home is 3 bedrooms and 2 bathrooms with 1456 SF of living space. Home has an open floor-plan with fireplace. 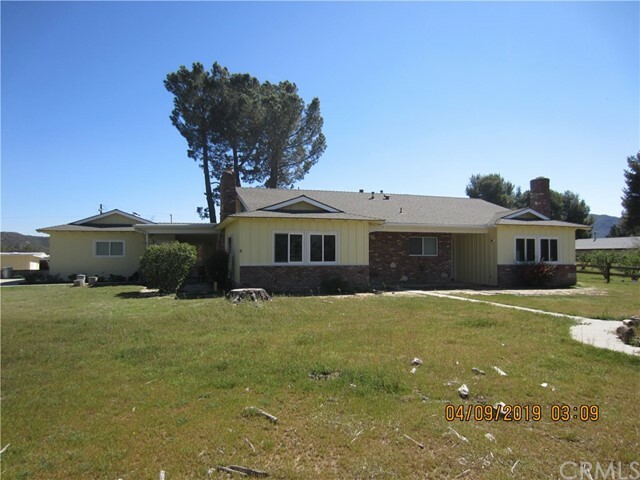 Park your ca"
"Back on the market - Land next door with it's own APN # is now being sold WITH this property for a nearly 10 acre total PLUS this has all the necessary improvements. SUPER Private - beautiful - up the hillside gives you some of the best views in Anza. If privacy is what you are looking for with little to no traffic on a dead end road this IS the property for you. It has a 2008 manufactured home on a permanent foundation fully permitted with a well, septic, propane and FIOS is coming. 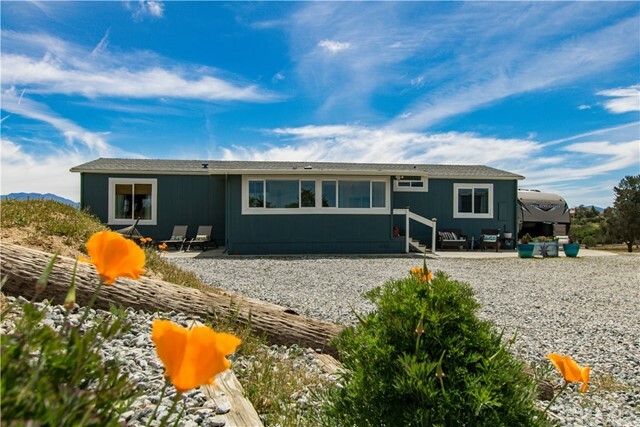 Three bedro"
"This is a beautiful 4 bedroom 2 bath 2007 manufactured home that has been lovingly cared for throughout the years. It features laminate floors throughout, a wood stove that keeps the home comfortably warm in the winter but also has forced air if you would rather. In the summer months you can choose to use the swamp cooler or the forced air conditioning to cool down the home. The spacious kitchen has been kept updated, with an island and gas stove top, plenty of counter space that is open to the "
"This home is located in the heart of Anza, close to churches, food establishments, post office and more. As you see the straight, clean lines of the exterior of the home, you step into an unexpected beauty of a home. Inside you will find tile flooring in the dining and kitchen area, hall, bathrooms and laundry room and carpet in the living room and the bedrooms. There are stainless steel appliances in the kitchen, ceiling fans throughout the home and granite countertops in kitchen and bathrooms." 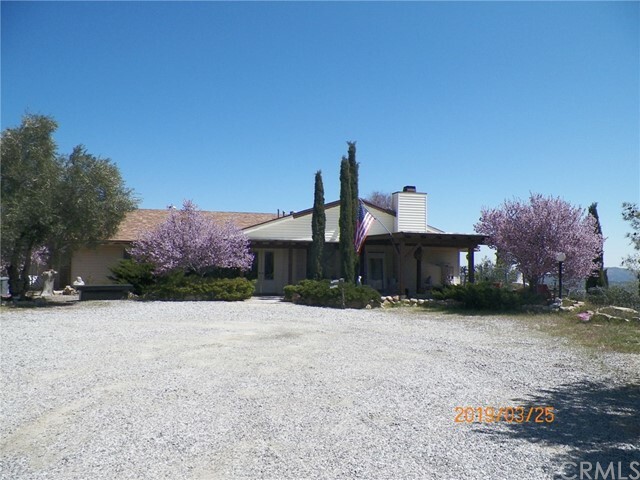 "Amazing Anza horse ranch with so much potential you can hardly stand it! The lot is 5.22 acres of all usable land with large number of mature shade trees, a few walnut and fruit trees. Ready to go accommodations for horses including a 3 stall horse barn with oversize paddocks, 1 acre pasture area, 4 large additional paddocks and arena. There is a tractor garage, RV barn, workshop/garage with electrical. There are two living quarters on the property plus a bunk house. 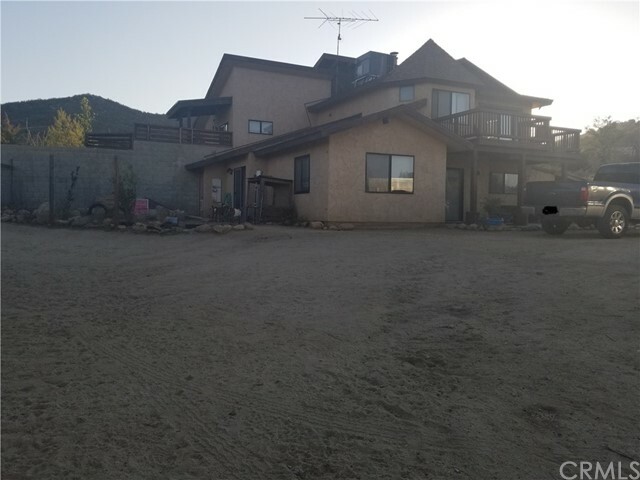 The main home is a 1975 manu"
"The mountain views from this 2004, 3 bedroom and 3 FULL bathroom Cavco Home on 2.5 acre lot, are stunning. Fully fenced and gated (electric gate). Open floor plan home. Large livingroom with lots of windows includes dining area. Roomy kitchen with plenty of counterspace. Indoor laundry room. A 420 square foot sunroom on south side of home has cozy woodburning stove. A wooden deck surrounds the sunroom on three sides(great for stargazing). 2 car garage and cement walkways. Small dutchbarn type ou"
"LOOK at this gorgeous kitchen! The open concept living area is an ENTERTAINERS DELIGHT! This amazing and tastefully done upgraded kitchen has new quartz countertops, new solid wood cabinets, new sink, new faucet, new disposal, new osmosis system, and new stainless steel appliances. This turnkey home has 3 bedrooms and 2 full bathrooms. The third bedroom has its own separate access, making it an ideal stay for guests to have some privacy. There are walking paths nestled throughout the very well m"